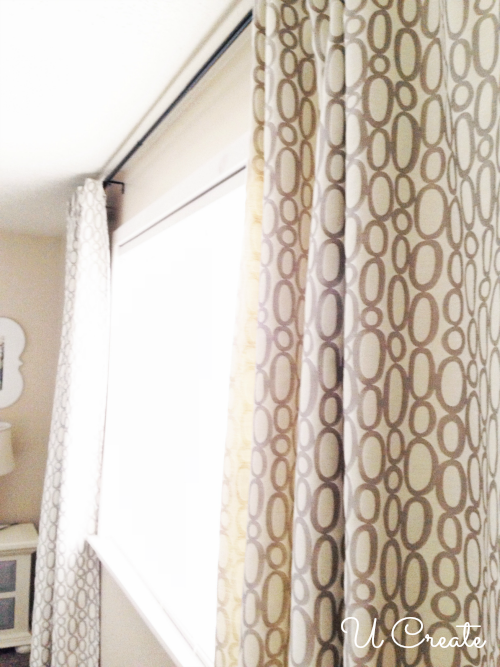 Creating these curtains made the biggest difference in my bedroom makeover. Want to add instant warmth? Add curtains! 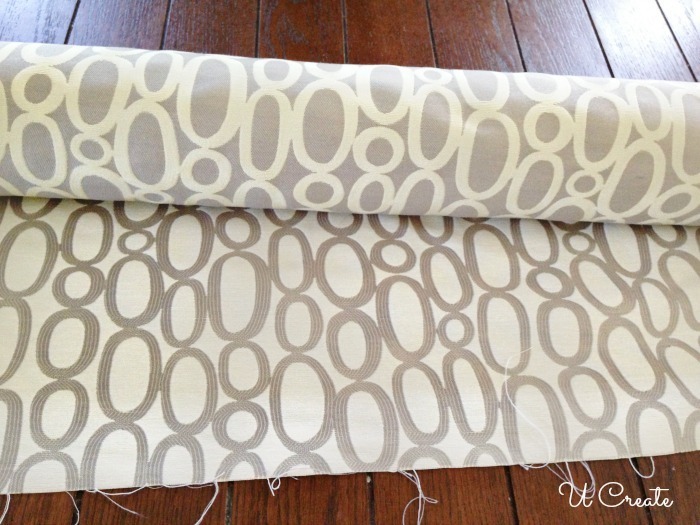 Grab your favorite material…I used HGTVHOME Looped Fog from JoAnn Fabric and Craft Stores. The width of my fabric used is 56”. For the length, I measured two inches below my ceiling and down to the floor. Add 6 inches for sewing the tops and hems. Cut. You have your first panel. Repeat steps for each panel you want to make. 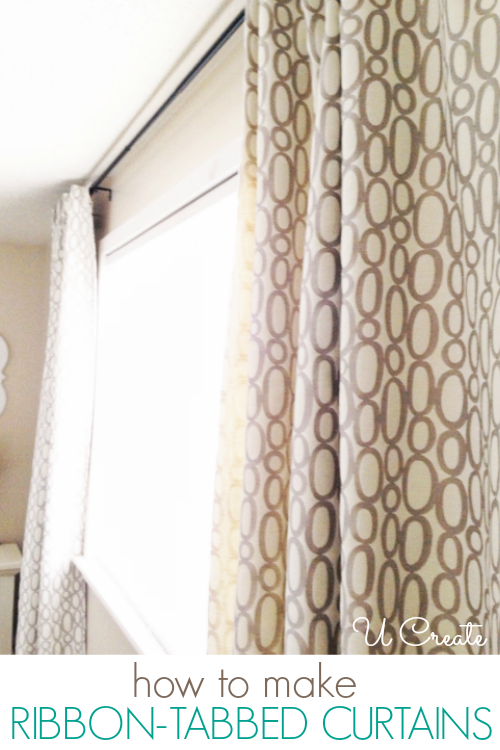 Next I’m going to show you how to hem each side of the curtain panels. 1. Measure one inch and fold over . 3. Fold over again another inch. 4. Iron the fold again. 5. Pin along the edge to secure it. 6. 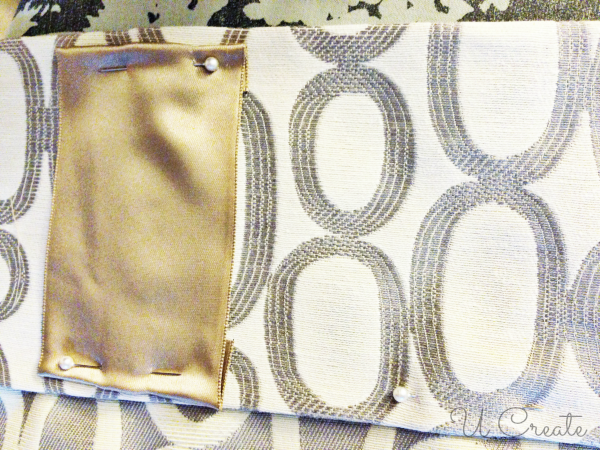 Sew with 1/4” inseam down the whole side of the curtain. 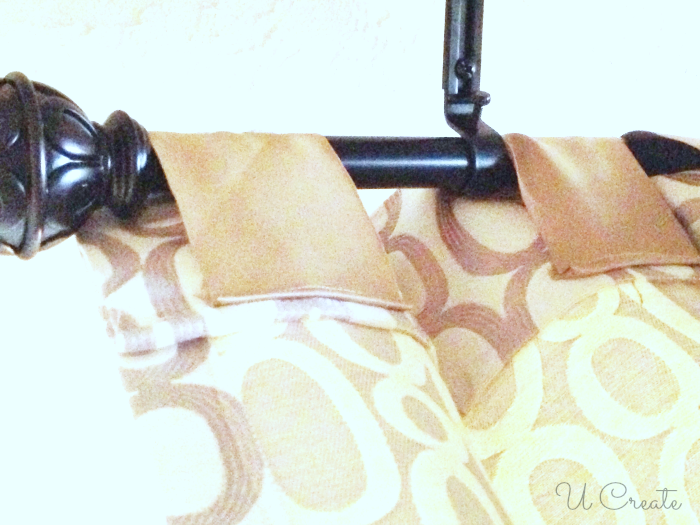 Repeat these on all the sides of the curtains – not the top and bottom! We are doing the same thing as the side hems except for the bottom we are going to fold in 1 inch, iron, fold again to 3 inches and sew 1/4” inseam. *note you can sew the seems on the top and bottom without placing the ribbon for a scrunchy look. If you want more of a hidden pleat look use the ribbon tabs. Fold the top and bottom of the ribbon pieces about 1/2” in and pin securely. 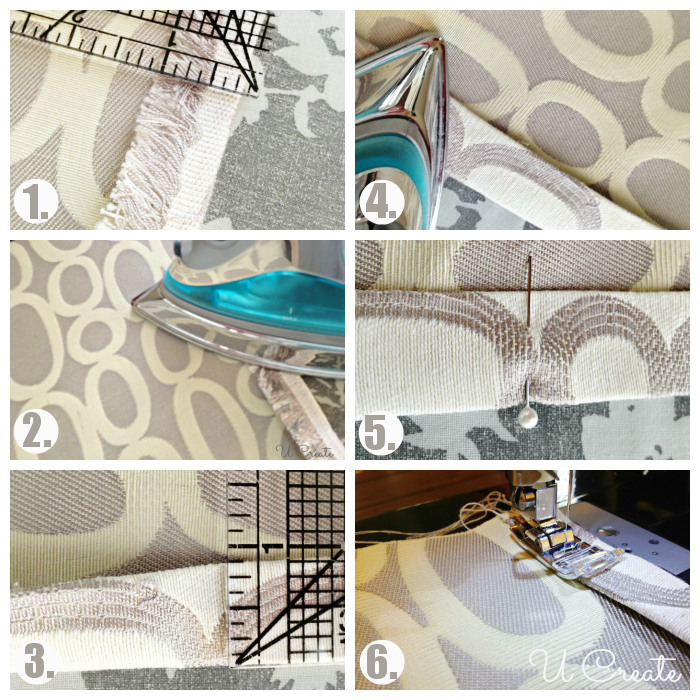 Next you will sew 1/2” inseam on the top of the curtain and 1/2” inseam on the bottom of the ribbon…along side whole curtain. Hang them up and enjoy the new warmth to your room!! Previous Post: Master Bedroom Reveal! I CAN’T Sew. 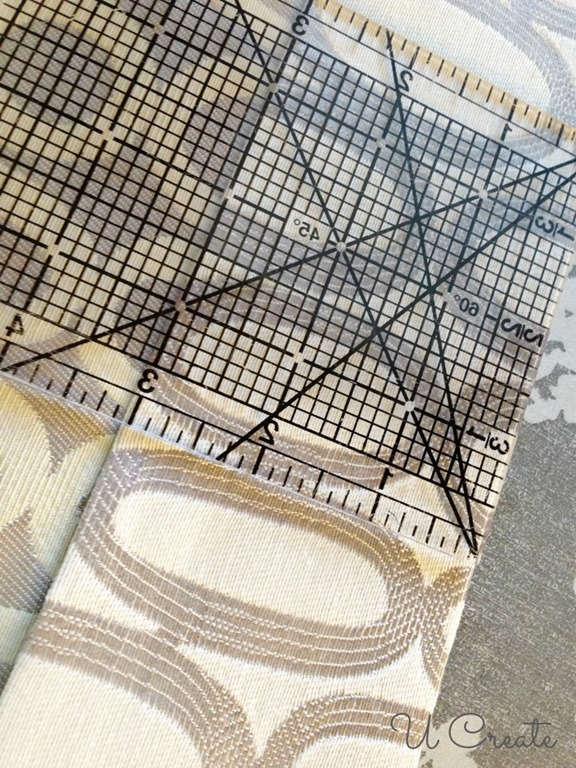 But with this tutorial and all the pictures to help me understand, I may just give this a try when I find the right fabric. 🙂 Thanks. So glad to hear! I was actually surprised at how easy they were to make when I dove into this project! You can do this. Sorry, but how WIDE did you make them? 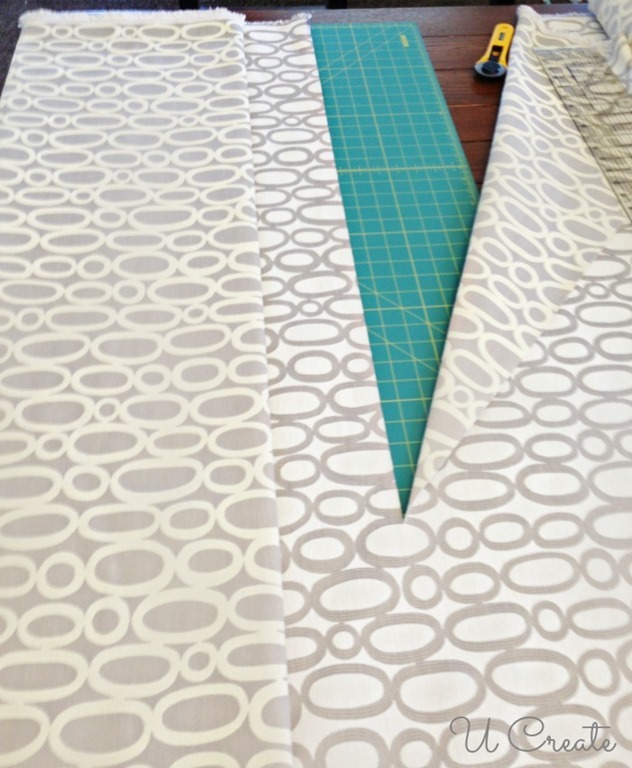 How do you know how much wider to cut each piece in order for the panel to gather, rather than just lay flat? Thank you! Thank you so much for bringing this to my attention! I can’t believe I left out such a HUGE detail! My fabric when I received it was already 56 inches wide, so that’s the width I used on each panel. Off to update the tutorial right now and fix that! Thanks again! Absolutely. I’ve washed a pillow sham in this fabric and it washed great! Seriously great quality fabric!! How far apart did you put the ribbon strips to make it look like pleats? I just measured and its 5 inches apart!